Every business must collect payments, but the process eats up valuable time each month. You have to create invoices in Microsoft Dynamics GP, ask for payment (maybe even chase down payments), and, finally, record payments. These steps are often inefficient, frustrating, and generate unnecessary stress. Click to pay email invoicing for Microsoft Dynamics GP makes collections easy and efficient. If you’re tired of spending undue time and energy on invoicing, it may be time to switch to email invoicing. Email invoicing relieves the pain of collections by simplifying your invoicing process and making it easier for your customers to pay. You start in GP by creating an invoice. The information from the invoice is then populated into an email template. You choose which template to use, then send it off to your customer. The customer receives the email in their inbox and clicks on the link, which takes them to a secure online form. They can pay with a credit card or ACH check, depending on your preferences. Once they’re done, they receive an email receipt, and the payment is synced back to GP. With email invoicing, you don’t have to manually enter each payment into GP. You simply import payments back to GP and apply them with one click. No more double data entry or spending hours on administration—which means you have time for more important tasks. One of the most stressful steps in the collections process is reaching out for payment—and, in some cases, following up several times to ask for payment. Using email invoicing with pre-written templates means you don’t have to think about what to say or how to say it. You can even create a series of email templates to send out at certain intervals—for example, two weeks before payment is due, one week before payment is due, and on the day payment is due. Instead of agonizing over writing the perfect email, you can simply send the template off and move on with your day. Email invoicing increases your efficiency by keeping all your work in one place. You send the email template from GP, so you don’t have to disrupt your workflow by switching between programs or taking time to compose each email. And because everything stays in GP, you can stay focused on your invoicing workflow instead of getting distracted by a busy inbox. It’s not always easy to get paid. Your customers may be busy or distracted, and even the most well-meaning customers can get behind on payments. 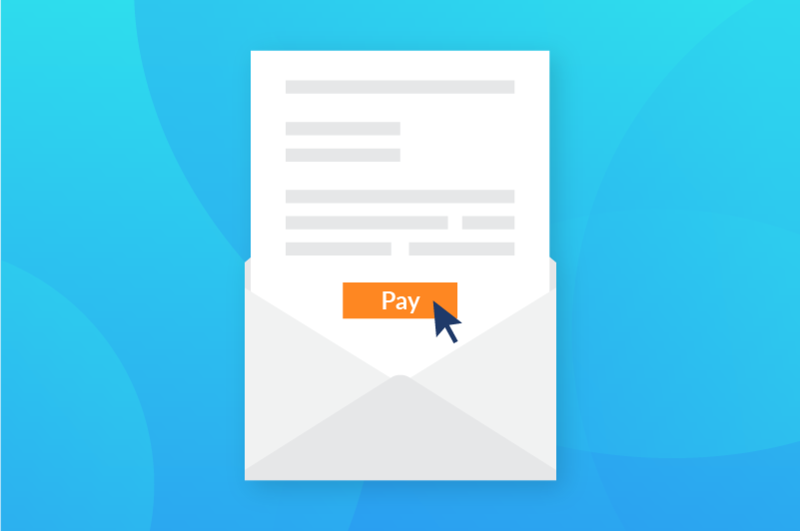 Email invoicing gives your customers a convenient way to make payments right from their inbox. It’s a win-win—your customers get an easy way to pay, and you’re more likely to get paid. Your collections process in GP doesn’t have to be stressful or inefficient. You can use click to pay email invoicing for Microsoft Dynamics GP to improve your workflow, increase your efficiency, and take the stress out of collections.